Exercising and adopting a healthy diet can work wonders in reshaping your body. But they aren’t always effective at removing certain areas of stubborn fat, especially around the midsection and thighs. In fact, it becomes more and more difficult to lose body fat in those areas as you age. That has left many people looking for a solution to the final hurdle that’s preventing them from achieving their dream bodies. 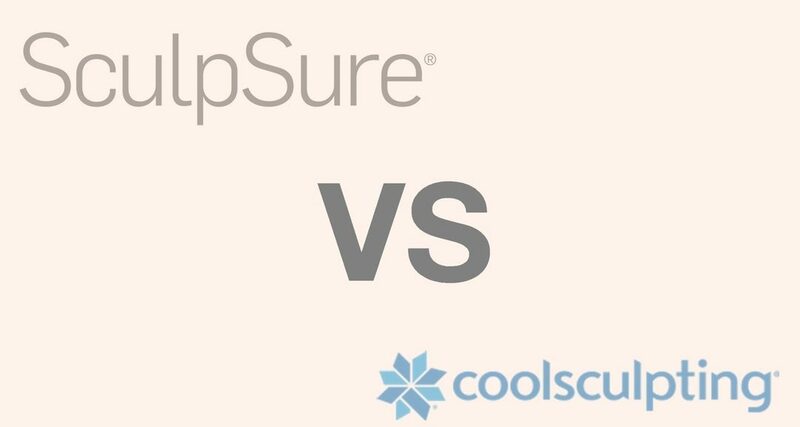 SculpSure™ uses lasers, while CoolSculpting uses cooling technology. SculpSure™ heats fatty tissue via a laser applicator. Because the laser wavelength is calibrated specifically to target adipose tissue, it’s highly effective at treating stubborn areas of body fat. CoolSculpting, on the other hand, freezes fat cells to destroy them. While it can be effective, it isn’t as precise as SculpSure™, which means results can be uneven and unsightly. SculpSure™ sessions are shorter and produce quicker results. With most sessions averaging around 25 minutes in length, SculpSure™ can be completed on your lunch break. In addition, most patients notice results within four to six weeks, with maximum results being noticeable by 12 weeks after procedures. CoolSculpting can take anywhere from 35 minutes to four hours to complete, and multiple sessions are required for opposite sides of the body. SculpSure™ is mostly painless with no downtime. Most patients who receive SculpSure™ say they feel only a slight heat-induced tingling or stinging. However, a constant cooling mechanism is used to help patients feel more comfortable throughout their procedures. CoolSculpting often involves a pinching and pulling of the skin, which can result in numbness, tingling, soreness, and even bruising. Patients sometimes report delayed onset pain after their procedures. At Clarksville Body Sculpting & Aesthetics, we know firsthand how effective, safe, and reliable SculpSure™ is for people who want to get rid of stubborn areas of body fat. Try it yourself. Request an appointment at our Clarksville location today to take the final step towards getting the body you’ve always wanted.